After the successful première of Koma, the final opera in the trilogy by Georg Friedrich Haas and Händl Klaus, which was performed at the Schwetzinger SWR Festival 2016, Daniel Gloger is now singing in the new reworked production at the Stadttheater Klagenfurt as well as at the Opéra de Dijon. The première will take place on 28th March 2019 in Klagenfurt. 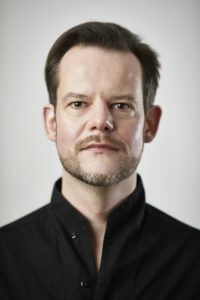 Bas Wiegers will be conducting the Kärntner Sinfonieorchester. The production is directed by Immo Karaman with stage and costume design by Nicola Reichert. From the summer semester of 2019, Holger Falk will start his professorship for Lied Interpretation and Performance Practice for Contemporary Music at the University of Music and Performing Arts Graz. We are delighted about his appointment to this renowned university. This is a completely new professorship for lied singing, extended to include the interpretation of contemporary music, making it unique in this form. The “Performance Practice for Contemporary Music” master’s programme was previously only available to instrumentalists. Now it will also be available to vocal students. 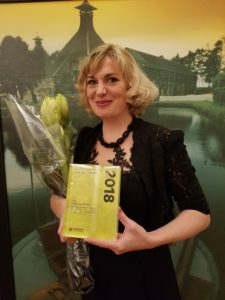 Mezzo-soprano Tora Augestad has been awarded the “Performer of the Year 2018” prize by the Norwegian Society of Composers, which is presented once a year. The Society of Composers paid tribute to her national and international activities spanning nearly two decades as a versatile artist and her constant dedication to Norwegian contemporary repertoire. The première of Henrik Hellstenius’ Dichterliebe, based on Robert Schumann’s cycle, as well as songs by Jean Sibelius and Gustav Mahler will be performed on 6th March 2019 in Bergen together with the Bergen Philharmonic Orchestra. It is the continuation of a series of concerts with her hometown’s renowned orchestra. The concert will be conducted by Risto Joost. 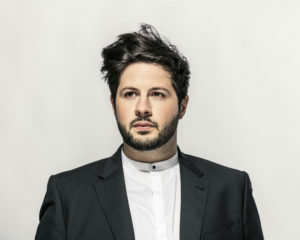 After the dialogue concert on 19th February 2019 at the Oper Frankfurt, in which Daniel Gloger interpreted Olga Neuwirth’s Nomi Songs together with the Ensemble Modern, the countertenor is making his début on 4th March 2019 in the great hall of the Elbphilharmonie Hamburg with Neuwirth’s The Outcast. Hommage to Herman Melville. It is also the first collaboration with the ORF Vienna Radio Symphony Orchestra and Ilan Volkov. On 21st February 2019 the curtain will go up on the première of Wertmüller’s Diodati. Unendlich at the Theater Basel. 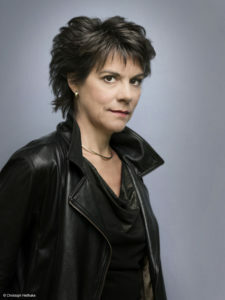 The libretto was written by Dea Loher. The Sinfonieorchester Basel will be playing, joined by the Chor des Theater Basels and conducted by Titus Engel. Baritone Holger Falk has already successfully premièred Michael Wertmüller’s Weine nicht, singe! at the Hamburgische Staatsoper in 2015 with the Swiss conductor. This is the first time he has worked together with director Lydia Steier who recently caused a sensation at the Salzburg Festival. Rupert Enticknap is appearing as Mercurio in Giovanni Legrenzis La Divisione del Mondo (1675) for the first time at the Opéra National du Rhin Strasbourg. The première will take place on 8th February 2019 at 20:00. In this context, the countertenor will also be working together with Les Talens Lyriques, conductor Christophe Rousset and director Jetske Mijn for the first time. The soprano and vocal artist Sarah Maria Sun will be showcasing her wide-ranging repertoire on 18th January 2019 and her skillful vocal expression in solo recital at the Konzerthaus Dortmund. The programme includes John Cage’s The wonderful widow of eighteen springs, Rebecca Saunders’ O for solo soprano, Georges Aperghis’ Récitations 8, 9 and 11, Luciano Berio’s Sequenza III for female voice as well as Luigi Nono’s La Fabbrica Illuminata. We are looking forward to Tora Augestad’s new year concerts in her home country, Norway: The mezzo-soprano will be heralding the start of the new year with the Stavanger Symphony Orchestra under the baton of Nick Davies and the Moderator Espen Beranek Holm. The concerts will take place on 9th / 10th / 11th / 12th January 2019, in the Stavanger Konserthus. The singer is interpreting Leonard Bernstein’s Somewhere, Kurt Weill’s Speak Low and Youkali as well as Marcus Paus’ Hate Songs. From 12th December 2018 the American mezzo-soprano Fredrika Brillembourg will be returning to the stage of the Komische Oper once again, this time as Old Lady in Bernstein’s Candide. To celebrate the 100th anniversary of the composer’s birthday, Barrie Kosky is bringing a hotly-anticipated new German version to the stage. After her successful collaboration with the conductor Shinik Ham in Shanghai last year, Allison Bell will be making her début in Seoul on 6th December 2018 with the Symphony S.O.N.G. (Symphony Orchestra of the Next Generation) under the baton of Shinik Ham. We are looking forward to Tora Augestad’s new CD recording Portraying Passion, which will be released on 12th November 2018 by LAWO Classics. Together with the Oslo Philharmonic and the conductors Joshua Weilerstein and Christian Eggen she is showcasing the wide range of her repertoire: Charles Ives’ Five Songs, Kurt Weill’s Seven Deadly Sins and the song cycle Hate Songs based on Dorothy Parker’s poems, which Marcus Paus has dedicated to the mezzo-soprano. On 24th November 2018, 19:30 pm, Sarah Maria Sun will perform the Austrian première of Peter Ruzicka’s Mnemosyne. Erinnerung und Vergessen in the Mozart Hall of the Wiener Konzerthaus. On 25th November 2018, 11:00 am, Salome Kammer is appearing in a solo concert at the University of Vienna. She will be interpreting a vocally versatile repertoire. At the same time, the matinee is the opening for a two-day symposium with Salome Kammer, in cooperation with the University of Vienna, focussing on the topic Word – Sound – Shape. At the invitation of the Impuls Festival – New Music for Saxony-Anhalt, she will première the works of five young composers from five countries on 30th October 2018, 20:00 in the Steintor-Varieté hall. She will then interpret the première and first performance of This is the Game for voice and electronics by the young Italian composer Daniele Ghisi: On 4th November 2018, 19:00 at the Donnersberghalle Rockenhausen in the first year of the Festival Neue Musik Rockenhausen and on 23rd November 2018, 20:30 in the Pirelli HangarBicocca at the Festival Milano Musica. Together with the pianist Julius Drake Holger Falk will perform three concerts –his débuts in New York City, Cleveland and Washington. The programme includes songs by Franz Schubert, Hanns Eisler, Erik Satie and Francis Poulenc. In October there are two exciting projects in Sarah Maria Sun’s calendar: The world première of Rainald Goetz’s Kolik at Gare du Nord Basel and her début at the Festival Internacional Cervantino in Mexico with Dieter Schnebel’s Yes I will Yes. Kolik is a music theatre project from Jannik Giger, Leo Hofmann and Benjamin Van Bebber premièring on 18th October 2018, 20:00 at the Gare du Nord. The Mexican première of Dieter Schnebel’s extraordinary Molly Bloom soliloquy (from James Joyce’s Ulysses) Yes I Will Yes with percussionist Johannes Fischer in Guanajuata, Mexico is scheduled on 27th October 2018, 19:00. We are looking forward to Salome Kammer’s début with the Philharmonia Orchestra for the British première of Hans Zender’s Cabaret Voltaire for soprano and orchestra. The concert will take place on 27th September 2018 at 6 pm in the Purcell Room of the Southbank Centre in London. Pierre-André Valade will be conducting the Philharmonia Orchestra. After his success in Gluck’s Ezio, the countertenor is returning to the Oper Frankfurt on 12th September 2018. This time he is demonstrating his versatility in the German premiere of Olga Neuwirth’s The Lost Highway in the role of the Mystery Man. It is the first collaboration with the Ensemble Modern under the baton of Karsten Januschke. Additional performance dates are: 16th/17th/19th/21st/23rd September 2018 (Bockenheimer Depot). The Mexican composer, director and photographer Arturo Fuentes is dedicating the monodrama Carlotas Zimmerto the versatile singer Sarah Maria Sun, and the work will be premièred on 8th/9th September 2018 in Schwaz. At the centre of the drama is Princess Carlota, who for 60 years has imagined the return of her husband Maximilian, Emperor of Mexico, and has been driven mad by this. The baritone will take over the role of Jean-Charles in Hans Werner Henze’s oratorio on 31st August 2018 in a scenic arrangement by Kornél Mundruczó and with production design by Márton Ágh in the Jahrhunderthalle Bochum. Steven Sloane conducts the Bochum Symphony, the Zürcher Sing-Akademie, the ChorWerk Ruhr and the Boy’s Choir of the Choir Academy Dortmund. More performances will take place on 1st/2nd September 2018. The Norwegian mezzo-soprano and actress Tora Augestad will appear at the RuhrTriennale 2018 for the first time in two productions by director Christoph Marthaler: Universe, Incomplete with music by Charles Ives and Bekannte Gefühle, Gemischte Gesichter. As artiste associé of the RuhrTriennale 2018-2020 Christoph Marthaler will be represented by various works he is directing. Universe, Incomplete will have its première on 17th August 2018 in the Jahrhunderthalle Bochum. We are very pleased to announce the new cooperation with Rupert Enticknap, one of Britain’s leading young countertenors. He has performed with renown Early Music ensembles and conductors and also brings along a great passion for modern and contemporary music repertoire. In the 2018/19 season, Rupert Enticknap will return to the Frankfurt Opera for Olga Neuwirth’s The Lost Highway together with the Ensemble Modern. On 13th July 2018, the soprano will sing the première of Nikolaus Brass’ new music theatre work The Passers-Byat the Munich Opera Festival. Her working relationship with the composer goes back a long way and she has already premièred several works by him, including Sommertag, Der Goldene Steig, Stimme und Tod. The Norwegian singer and her long-standing jazz ensemble Music for a while will be performing for the first time in Bad Kissingen. In a Late Night Concert on 12th July 2018, the artists will showcase their musical spectrum ranging from a baroque repertoire of John Dowland, G.F. Handel, Jean-Philippe Rameau, Franz Schubert to Kurt Weill and Franz Bruinier. In this season, the American mezzo-soprano will perform at the Deutsche Oper Berlin in the role of Marthe Schwerdtlein in Charles Gounod’s Faust. Philip Stölzl’s acclaimed production will resume on 23rd June 2018, with more performance dates including: 26th/29th June 2018, 19:00 and 3rd/6th July 2018, 19:00. On 30th May 2018 the Handel Festival Halle will be hosting the new programme with Tora Augestad and the Lautten Compagney Berlin. With Georg Friedrich Handel’s English songs from HWV, the mezzo-soprano is showing her musical scope and joy of improvisation once again and will continue the successful collaboration with the Lautten Compagney. The vocal artist is slipping into the role of Elsa, abandoned by Lohengrin in Sciarrino’s musical monodrama. Together with the Ensemble Contrechamps and the conductor Michael Wendeberg, the work will be performed in concert on 25th May 2018 in the Victoria Hall Geneva. It is the continuation of a long-standing cooperation between the soloist and the Swiss ensemble. Tenor Zoltán Nyári will make his début in the role of Cyprian on 5th May 2018 at the Malmö Opera. Der Park by the Swedish composer Hans Gefors was premièred in 1992 in Wiesbaden, with the libretto by Botho Strauss. On 19th April 2018, Australian soprano Allison Bell will première the new work Face by New Zealand composer Ross Harris with the Auckland Philharmonia Orchestra, the Voices New Zealand Chamber Choir, tenor Henry Choo, baritone Joel Amosa and conductor Anthony Hermus in Auckland. For the first time, the mezzo-soprano will be performing with the Ensemble Resonanz in spring and making her debut at the new Elbphilharmonie. Under the baton of Emilio Pomárico she sings the world première of migrants by Georges Aperghis as well as The Diary of One Who Disappeared (arranged by Johannes Schöllhorn) by Leos Janacek. On March 24, 2018, the tenor will make his début at the Theater Chemnitz as Siegmund and will encounter his twin sister Sieglinde in Richard Wagner’s Die Walküre. It will be directed by Monique Wagemakers. 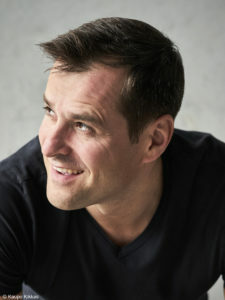 Zoltán Nyári has already successfully sung the role a first time at the Staatstheater Oldenburg. Soprano Sarah Maria Sun will make her début on 4th March 2018 at the Zurich Opera House with the première of LUNEA by Heinz Holliger. She has been collaborating with the composer for some time now, and has already premièred several of his works. We are looking forward to soprano Allison Bell’s début on 4th March 2018 with the Rundfunk-Sinfonieorchester Berlin conducted by Vladimir Jurowski. The epochal work is being interpreted by Salome Kammer (Speaker) and Christina Daletska (Waldtaube) on 24th February 2018 at the Casa da Música in Porto. Stefan Blunier is conducting the Coro and the Orquestra Sinfónica do Porto Casa da Música. Holger Falk will be performing at the Oper Frankfurt once again in a new production playing the main part in Manfred Trojahn’s opera Enrico from the 21st January. 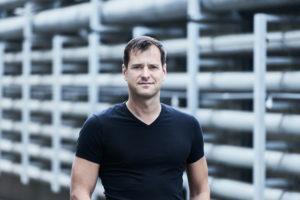 Tobias Heyder is staging the opera (which premièred in 1990) in the Bockenheimer Depot, and Roland Böer will conduct the musicians of the Frankfurter Opern- und Museumsorchester. Other dates include: 23rd, 25th, 27th, 29th, 31st January, 2nd and 4th February 2018. On 14th December 2017, the curtain goes up at the Schauspielhaus Zürich on the new production of Mir nämeds uf öis (We take it upon ourselves) with Tora Augestad. This is the tenth joint Christoph Marthaler production that the singer is involved with. As part of a children’s concert on the 17th December 2017 in the Kölner Philharmonie, the vocal artist Salome Kammer will be interpreting a story from Author Andrea Karimé, which has been set to music for a small orchestra for the first time. We are very much looking forward to the debut of baritone Holger Falk as Elias in Mendelssohn’s eponymous oratorio performed during the annual winter opera Potsdam. The director Andreas Bode will stage Elias in the Friedenskirche Potsdam and Titus Engel will conduct the Kammerakademie Potsdam. Bergen born singer Tora Augestad will make her debut with the Bergen Philharmonic Orchestra and principal conductor Edward Gardner at the Grieghallen on 23 November 2017. On 4 November 2017 Salome Kammer will sing the premiere of Iris ter Schiphorst’s Das Imaginäre nach Lacan at the festival Wien Modern. 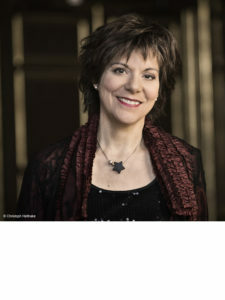 The singer has already premiered several works by Iris ter Schiphorst in the past years. We are delighted that the CD Hanns Eisler Lieder Vol. 1 by baritone Holger Falk and pianist Steffen Schleiermacher received the award. The jury for the Preis der deutschen Schallplattenkritik chose the duo from 91 productions to be among the 12 winners of the Jahrespreis der deutschen Schallplattenkritik 2017. The new CD production modern lied by soprano Sarah Maria Sun and pianist Jan Philip Schulze is being praised by critics for its exceptional choice of repertoire and successful interpretation. After the successful world premiere during the Wiener Festwochen 2017 the celebrated production of Moonparsifal Beta 9-23 by composer Bernhard Lang can be seen on stage on 15 / 16 / 18 October 2017 at the Berliner Festspiele. The experienced countertenor Daniel Gloger has been widely celebrated for his performance of the leading role. On 25 August 2017 the soprano Sarah Maria Sun and the mezzo-soprano Christina Daletska sang the world premiere of Philippe Manoury’s light opera Kein Licht at the Ruhrtriennale. 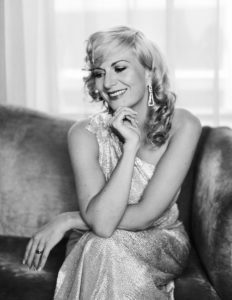 Together with the Lautten Compagney Berlin the Norwegian mezzo-soprano Tora Augestad presents her new programme Wistful dream of times at the Lower Saxony Music Festival. The concerts will take place on 27 September 2017 in Obernkirchen and on 28 September 2017 in Bad Grund. 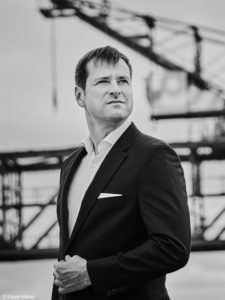 We are very much looking forward to the debut of tenor Zoltán Nyári as Siegmund in Wagner’s Die Walküre at the Oldenburgisches Staatstheater in a production by Paul Esterhazy. 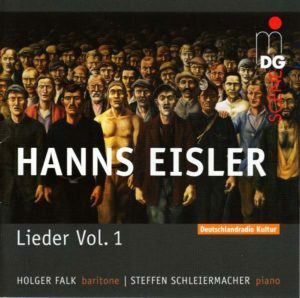 The recently released CD Hanns Eisler Lieder Vol. 1 has been nominated for the Award of the Deutsche Schallplattenkritik on its Longlist. In a four-part CD edition, Holger Falk and Steffen Schleiermacher present the lied œuvre by Hanns Eisler. 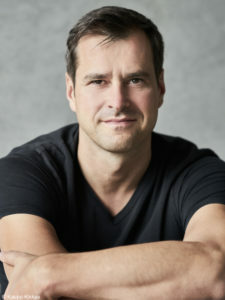 Bas Wiegers will be conducting the Kärntner Sinfonieorchester. The production is directed by Immo Karaman with stage and costume design by Nicola Reichert. The countertenor’s close collaboration with composer Georg Friedrich Haas goes back many years, beginning with his opera Melancholia (performed in cities such as Graz, Paris, Bergen and Oslo). From the summer semester of 2019, Holger Falk will start his professorship for Lied Interpretation and Performance Practice for Contemporary Music at the University of Music and Performing Arts Graz. We are delighted about his appointment to this renowned university. This is a completely new professorship for lied singing, extended to include the interpretation of contemporary music, making it unique in this form. The “Performance Practice for Contemporary Music” master’s programme was previously only available to instrumentalists. Now it will also be available to vocal students. Holger Falk is particularly pleased about this, because “the singing tradition at conservatories does not usually venture beyond Hugo Wolf. I have been advocating for this for a long time now. This master’s programme will now deal exclusively with contemporary music or music from the last 50 or 60 years. By combining classical lied singing and contemporary music, the professorship brings together the things I most love to do. 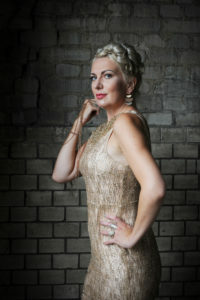 Mezzo-soprano Tora Augestad has been awarded the “Performer of the Year 2018” prize by the Norwegian Society of Composers, which is presented once a year. This prize is awarded to soloists or ensembles who have made a special contribution to contemporary music. The Society of Composers paid tribute to her national and international activities spanning nearly two decades as a versatile artist and her constant dedication to Norwegian contemporary repertoire. The prize has been awarded since 1985 and comes with 50,000 Norwegian kroner as prize money and another 50,000 NOK for a concert or commission with a contemporary Norwegian composer. The award ceremony took place on 14th December 2018. The première of Henrik Hellstenius’ Dichterliebe, based on Robert Schumann’s cycle, as well as songs by Jean Sibelius and Gustav Mahler will be performed on 6th March 2019 in Bergen together with the Bergen Philharmonic Orchestra. It is the continuation of a series of concerts with her hometown’s renowned orchestra. The concert will be conducted by Risto Joost. 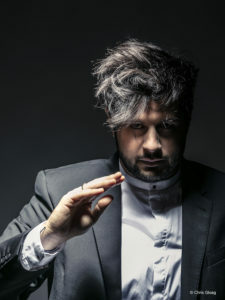 After the dialogue concert on 19th February 2019 at the Oper Frankfurt, in which Daniel Gloger interpreted Olga Neuwirth’s Nomi Songs together with the Ensemble Modern, the countertenor is making his début on 4th March 2019 in the great hall of the Elbphilharmonie Hamburg with Neuwirth’s The Outcast. Hommage to Herman Melville. The singer has already performed several works by the Austrian composer and is appearing in Hamburg for the first time as Queepeg, first harpooner in The Outcast. It is also the first collaboration with the ORF Vienna Radio Symphony Orchestra and Ilan Volkov. The performance of this musicstallation-theatre is staged by the video artist Netia Jones, with sound direction by Gilbert Nouno. This production was performed as part of the Wien Modern Festival programme in 2018. Other performers include the Company of Music vocal ensemble, the Munich Boys’ Choir, the soprano Emily Hindrichs, the baritone Omar Ebrahim and the singer Georgette Dee. The cast of additional singers includes: Seth Carico (Dr John Polidori), Samantha Gaul (Augusta Leigh), Sara Hershkowitz (Claire Clairmont), Rolf Romei (Perci Bysshe Shelley) among others. Rupert Enticknap is appearing as Mercurio in Giovanni Legrenzis La Divisione del Mondo (1675) for the first time at the Opéra National du Rhin Strasbourg. The première will take place on 8th February 2019 at 20:00. In this context, the countertenor will also be working together with Les Talens Lyriques, conductor Christophe Rousset and director Jetske Mijn for the first time. The stage will be designed by Herbert Murauer and Julia Catherine Berndt is designing the production’s costumes. Rupert Enticknap will be joined on the stage by Carlo Allemano (Giove), Jake Arditti (Apollo), Julie Boulianne (Giunone), Stuart Jackson (Nettuno), Sophie Junker (Venere) and Christopher Lowrey (Marte) among others. The soprano and vocal artist Sarah Maria Sun will be showcasing her wide-ranging repertoire on 18th January 2019 and her skillful vocal expression in solo recital at the Konzerthaus Dortmund. The programme includes John Cage’s The wonderful widow of eighteen springs, Rebecca Saunders’ O for solo soprano, Georges Aperghis’ Récitations 8, 9 and 11, Luciano Berio’s Sequenza III for female voice as well as Luigi Nono’s La Fabbrica Illuminata. In the Musik für Freaks series, the concert house is focussing on the repertoire of the 20th/21st century. The mezzo-soprano will be heralding the start of the new year with the Stavanger Symphony Orchestra under the baton of Nick Davies and the Moderator Espen Beranek Holm. The concerts will take place on 9th / 10th / 11th / 12th January 2019, in the Stavanger Konserthus. The singer is interpreting Leonard Bernstein’s Somewhere, Kurt Weill’s Speak Low and Youkali as well as Marcus Paus’ Hate Songs. She has just released the Hate Songs on CD together with works by Weill and Ives on LAWO Classics (with the Oslo Philharmonic). On 16th January 2019 Tora Augestad will then perform the première of Marcus Paus’ new work How the light gets in, a tribute to Leonard Cohen, in Asker, Norway. Her musical partner will be the NyNorsk Messingkvintett brass quintet. From 12th December 2018 the American mezzo-soprano Fredrika Brillembourg will be returning to the stage of the Komische Oper once again, this time as Old Lady in Bernstein’s Candide. To celebrate the 100th anniversary of the composer’s birthday, Barrie Kosky is bringing a hotly-anticipated new German version to the stage. Fredrika Brillembourg is continuing her long-standing collaboration with the director and the venue and in November she performed a late-night concert with Bernstein/Weill songs as part of the Bernstein 100 festival that the Komische Oper has been presenting. Other dates include: 31st December 2018, 10th/25th January 2019, 3rd February 2019 and 27th March 2019. The orchestra and the Choir of the Komische Oper Berlin will be playing/singing, under the baton of Jordan de Souza. Her partners on the stage include Johannes Dunz (Candide), Nicole Chevalier (Kunigunde), Franz Hawlata (Dr. Pangloss/Voltaire) i.a. After her successful collaboration with the conductor Shinik Ham in Shanghai last year, Allison Bell will be making her début in Seoul on 6th December 2018 with the Symphony S.O.N.G. (Symphony Orchestra of the Next Generation) under the baton of Shinik Ham. The programme includes “E il sol dell’anima…Addio! Addio!” by Verdi (Rigoletto), Puccini’s Musetta’s Waltz “Quando m’en vo” (La Bohème) and Ligeti’s phenomenal “Mysteries of the Macabre”, with which the soprano is showcasing her wide-ranging repertoire. 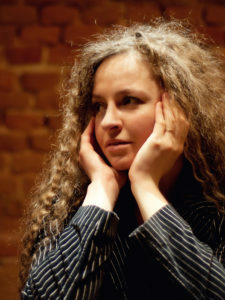 With Ligeti’s Mysteries, Allison Bell has been able to shine several times on the concert stage and has sung the Australian première among others. 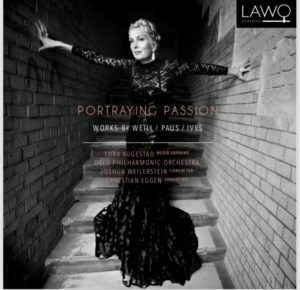 We are looking forward to Tora Augestad’s new CD recording Portraying Passion, which will be released on 12th November 2018 by LAWO Classics. Together with the Oslo Philharmonic and the conductors Joshua Weilerstein and Christian Eggen she is showcasing the wide range of her repertoire: Charles Ives’ Five Songs, Kurt Weill’s Seven Deadly Sins and the song cycle Hate Songs based on Dorothy Parker’s poems, which Marcus Paus has dedicated to the mezzo-soprano. The Hate Songs are a symphonic mini-cabaret, bridging the gap between the Jazz Age and the present. Tora Augestad was recently celebrated in Christoph Marthaler’s Universe, Incomplete with songs by Charles Ives for the RuhrTriennale in the Jahrhunderthalle Bochum with the Bochum Symphony and Titus Engel: “Tora Augestad is a phenomenon” (NZZ), “led by the wonderful Tora Augestad” (Tagesspiegel). Her portrait CD is rounded off by The Seven Deadly Sins. The Lotte Lenya Prize winner, Tora Augestad, has already performed this cycle multiple times, including most recently in concert with the Oslo Philharmonic in May 2017. On 24th November 2018, 19:30 pm, Sarah Maria Sun will perform the Austrian première of Peter Ruzicka’s Mnemosyne. Erinnerung und Vergessen in the Mozart Hall of the Wiener Konzerthaus. To celebrate the composer’s 70th birthday this year, he will be conducting the Camerata Salzburg himself. For the première in the Elbphilharmonie in 2017, Sarah Maria Sun stood in at short notice for Anna Prohaska, who was sick at the time, and was celebrated for her phenomenal interpretation: With the somnambulistic certainty and elegance of a tightrope walker, the singer handled (…) the vocal acrobatics of the piece. (Hamburger Abendblatt). On 25th November 2018, 11:00 am, Salome Kammer is appearing in a solo concert at the University of Vienna. She will be interpreting a vocally versatile repertoire: Luciano Berio’s Sequenza III, Hugo Ball’s Six Sound Poems, John Cage’s Aria, György Kurtág’s Einige Sätze aus den Sudelbüchern Georg Christoph Lichtenbergs op. 37, Carola Bauckholt’s Die Alte und Emil, Mauricio Kagel’s Der Turm zu Babel, Iris ter Schiphorst’s Changeant and Giacinto Scelsi I Canti del Capricorno. At the same time, the matinee is the opening for a two-day symposium with Salome Kammer, in cooperation with the University of Vienna, focussing on the topic Word – Sound – Shape. After the successful concerts in the Berlin Philharmonie, Elbphilharmonie Hamburg and the Wiener Konzerthaus in the spring of 2018, the mezzo-soprano Christina Daletska will be performing again with the Ensemble Resonanz. The Disappearances programme includes the Dutch and Luxembourg Première of Leos Janacek’s Aus dem Tagebuch eines Verschollenen(edited by Johannes Schöllhorn) and Georges Aperghis’ migrants. It will be conducted by Emilio Pomárico with Agata Zubel singing the soprano role. At the invitation of the Impuls Festival – New Music for Saxony-Anhalt, she will work on the works of five young composers from five countries in an international master class at the Bauhaus Dessau and première them on 30th October 2018, 20:00 in the Steintor-Varieté hall. The theme will be the Thirty Years’ War and its beginnings 400 years ago. Salome Kammer will combine the five monodramas set to music partly as a speaker, presenter and anchor woman in a news broadcast, flanked by video projections from the Leipzig filmmaker Sascha Kummer. Other contributors include the Kammerakademie Halle, the Ensemble Tempus Konnex Leipzig, conductors Nodoka Okisawa and Armando Merino and the clarinettist Miguel Pérez Inesta. On 4th November 2018, 19:00 at the Donnersberghalle Rockenhausen in the first year of the Festival Neue Musik Rockenhausen, which is under the personal patronage of Helmut Lachenmann. On 23rd November 2018, 20:30 in the Pirelli HangarBicocca at the Festival Milano Musica. The two artists met recently and are both bringing their enthusiasm for keen interpretation of unusual repertoires across the Atlantic. In October there are two exciting projects in Sarah Maria Sun’s calendar: The world première of Rainald Goetz’s Kolik at Gare du Nord Basel and her début at the Festival Internacional Cervantino in Mexico with Dieter Schnebel’s Yes I will Yes. Kolik is a music theatre project from Jannik Giger, Leo Hofmann and Benjamin Van Bebber premièring on 18th October 2018, 20:00 at the Gare du Nord. Additional dates include: 19th, 20th October 2018, 20:00 and 29th, 30th, 31th March 2019 at Radialsystem Berlin/MaerzMusik. Based on Rainald Goetz’s apocalyptic monologue, the work is a many-voiced solo for the soprano Sarah Maria Sun, electronic and instrumental ensemble –a contemporary passion play about internal struggles of the mind, the noise of the world and our vulnerability in a hyper accelerated present. The ensemble of soloists Kaleidoskop Berlin are playing as well as instrumentalists from Switzerland. The Mexican première of Dieter Schnebel’s extraordinary Molly Bloom soliloquy (from James Joyce’s Ulysses) Yes I Will Yes with percussionist Johannes Fischer in Guanajuata, Mexico is scheduled on 27th October 2018, 19:00. Sarah Maria Sun, will perform the piece for the first time in Irish English, a small challenge that has captured her imagination. We are looking forward to Salome Kammer’s début with the Philharmonia Orchestra for the British première of Hans Zender’s Cabaret Voltaire for soprano and orchestra. The concert will take place on 27th September 2018 at 6 pm in the Purcell Room of the Southbank Centre in London. Pierre-André Valade will be conducting the Philharmonia Orchestra. Salome Kammer has already premièred Zender’s sound poems, written by Hugo Ball, set to music and recorded them on CD for Kairos with the Klangforum Wien under the direction of the composer. After his success in Gluck’s Ezio, the countertenor is returning to the Oper Frankfurt on 12th September 2018. This time he is demonstrating his versatility in the German premiere of Olga Neuwirth’s The Lost Highway in the role of the Mystery Man. It is the first collaboration with the Ensemble Modern under the baton of Karsten Januschke. Additional performance dates are: 16th/17th/19th/21st/23rd September 2018 (Bockenheimer Depot). The director is Yuval Sharon. Olga Neuwirth and Elfriede Jelinek have created an exciting musical psychodrama for the stage, based on David Lynch’s successful feature film. The Mexican composer, director and photographer Arturo Fuentes is dedicating the monodrama Carlotas Zimmerto the versatile singer Sarah Maria Sun, and the work will be premièred on 8th/9th September 2018 in Schwaz. At the centre of the drama is Princess Carlota, who for 60 years has imagined the return of her husband Maximilian, Emperor of Mexico, and has been driven mad by this. Sarah Maria Sun, who shone as the abandoned Elsa in Salvatore Sciarrino’s Monodrama Lohengrin at the Salzburg Easter Festival, is undoubtedly the ideal protagonist for such a challenging interpretation of a fateful female character. The conductor Johannes Kalitzke leads the accomplished Klangforum Wien. The baritone will take over the role of Jean-Charles in Hans Werner Henze’s oratorio on 31st August 2018 in a scenic arrangement by Kornél Mundruczó and with production design by Márton Ágh in the Jahrhunderthalle Bochum. Steven Sloane conducts the Bochum Symphony, the Zürcher Sing-Akademie, the ChorWerk Ruhr and the Boy’s Choir of the Choir Academy Dortmund. More performances will take place on 1st/2nd September 2018. It is Holger Falk’s first collaboration with the RuhrTriennale, but he is very familiar with Hans Werner Henze’s music. He sang the part of Lescaut in Henze’s Boulevard Solitude, El Cimarrón and the Prinz von Homburg. The Norwegian mezzo-soprano and actress Tora Augestad will appear at the RuhrTriennale 2018 for the first time in two productions by director Christoph Marthaler: Universe, Incomplete with music by Charles Ives and Bekannte Gefühle, Gemischte Gesichter. As artiste associé of the RuhrTriennale 2018-2020 Christoph Marthaler will be represented by various works he is directing. Universe, Incomplete will have its première on 17th August 2018 in the Jahrhunderthalle Bochum. Additional dates include: 19th/22nd/23rd/24th/25th August 2018. Titus Engel is responsible for the musical selection and conducts the Bochum Symphony, The Rhetoric Project and the Schlagquartett Köln. 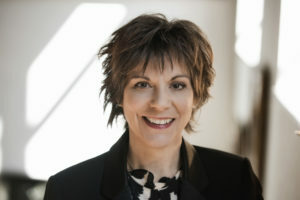 The stage will be designed by Anna Viebrock. On 30th/31st August and 1st/2nd September 2018, the Marthaler production Bekannte Gefühle, Gemischte Gesichter, which was celebrated at the Volksbühne Berlin in 2016, will be presented at the Musiktheater im Revier Gelsenkirchen. We are very pleased to announce the new cooperation with Rupert Enticknap, one of Britain’s leading young countertenors. He has performed with renown Early Music ensembles and conductors and also brings along a great passion for modern and contemporary music repertoire. In the 2018/19 season, Rupert Enticknap will return to the Frankfurt Opera for Olga Neuwirth’s The Lost Highway together with the Ensemble Modern. 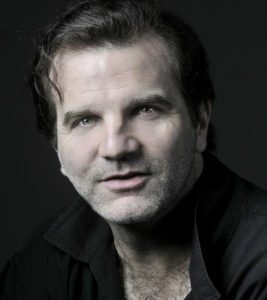 Further performances include the role of Mercucio in La Divisione del Mondo by Giovanni Lengrenzi at the Opéra National du Rhin Strasbourg, Opéra national de Lorraine Nancy and the Opéra Royal Versailles. Recently, he made his debut at the Glyndebourne Opera Festival in the role of Rosencrantz in Brett Dean’s celebrated Hamlet-premiere alongside Barbara Hannigan. Touring performances followed at the Adelaide Festival 2018 among other venues. He also sang the title role of Philip Glass’s Akhnaten at the MITO Settembre Musica Festival 2015, the European in Maurizio Kagel’s Mare Nostrum at the Wiener Kammeroper in 2014 and the world premiere of Max Richter’s Sum for The Royal Opera House, Covent Garden. On 13th July 2018, the soprano will sing the première of Nikolaus Brass’ new music theatre work The Passers-Byat the Munich Opera Festival. Her working relationship with the composer goes back a long way and she has already premièred several works by him, including Sommertag, Der Goldene Steig, Stimme und Tod. The production in Munich will be staged by Ludger Engels in the Reithalle München, with Maria Jacquot as musical director. Additional dates are: 15th/16th/21st July 2018, 8:30 pm. Sarah Maria Sun’s fellow singers will include Ilker Arcayürek and Nikolay Borchev. The Norwegian singer and her long-standing jazz ensemble Music for a while will be performing for the first time in Bad Kissingen. In a Late Night Concert on 12th July 2018, the artists will showcase their musical spectrum ranging from a baroque repertoire of John Dowland, G.F. Handel, Jean-Philippe Rameau, Franz Schubert to Kurt Weill and Franz Bruinier. Their concerts are always enriched by unique and fresh jazz improvisations. The ensemble consists of the congenial musicians Trygve Brøske, Mathias Eick, Martin Taxt and Pål Hausken and has already appeared at the Beethovenfest Bonn, the Dresdner Musikfestspiele, the Handel Festival Halle, the Musikfest Stuttgart. She recently interpreted this role successfully at the Oper Stuttgart. In Berlin her stage colleagues include Alex Esposito/Nicolas Testé (Méphistophélès), Bryan Hymel (Faust) and Nicole Car/Diana Damrau (Marguerite). On 30th May 2018 the Handel Festival Halle will be hosting the new programme with Tora Augestad and the Lautten Compagney Berlin. With Georg Friedrich Handel’s English songs from HWV, the mezzo-soprano is showing her musical scope and joy of improvisation once again and will continue the successful collaboration with the Lautten Compagney. The cast was invited to perform at the Schwetzinger SWR Festival and the Niedersächsische Musiktage in 2017. 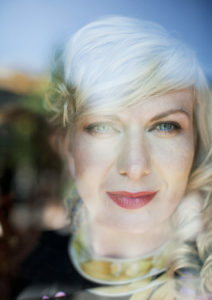 In 2015, Tora Augestad was celebrated together with her jazz ensemble Music for a while and arias by Handel and other composers at the Handel Festival in Halle. Tenor Zoltán Nyári will make his début in the role of Cyprian on 5th May 2018 at the Malmö Opera. Der Park by the Swedish composer Hans Gefors was premièred in 1992 in Wiesbaden, with the libretto by Botho Strauss. 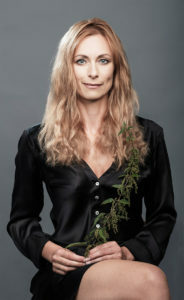 The new production in Malmö is staged by Vera Nemirova and choreographed by Jens Kilian, with Patrick Ringborg conducting the Malmö Operaorkester. The opera is based on Shakespeare’s A Midsummer Night’s Dream and will also be performed in Malmö on 13th/17th/30th May 2018 as well as on 2nd June 2018. The other soloists include Carl Ackerfeldt, Eric Greene, Eir Inderhaug, Susanna Stern and Hege Gustava Tjønn. Another highlight is Allison Bell’s début with the Melbourne Symphony Orchestra on 21st April 2018 in Melbourne. Under the baton of Clark Rundel, she will sing the Australian première of Unsuk Chin’s Puzzles and Games from her opera Alice in Wonderland. Christina Daletska: Concerts with the Ensemble Resonanz at the Berlin Philharmonie, the Elbphilharmonie in Hamburg and the Wiener Konzerthaus. There will be additional concerts in November 2018 at the Muziekgebouw aan’t IJ Amsterdam and at the Philharmonie Luxembourg. 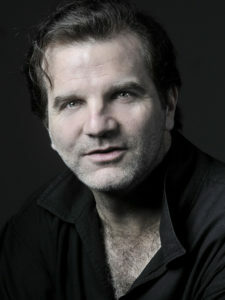 As Siegmund, Zoltán Nyári gives a refreshingly dramatic, vocally pleasing début as Siegmund. (theaterpur.net). Experienced operatic dramatist Klaus Händl wrote the libretto for Heinz Holliger’s new music theatre work, which will not recount the life of the Poet Nikolaus Lenau, but will reveal lyrics, characters and situations from his life in visions, flashes of thoughts and dream images. The highly sensitive, visionary eccentric Lenau will be played by Christian Gerhaher. Andreas Homoki is responsible for the scenic realisation of Lebensblätter, summarised in 23 highlights. Heinz Holliger will conduct the Philharmonia Zürich and the Basler Madrigalisten. Other soloists include Juliane Banse as Sophie von Löwenthal, Ivan Ludlow as Anton Schurz and Sarah Maria Sun as Marie Behrends/Karoline Unger. We are looking forward to soprano Allison Bell’s début on 4th March 2018 with the Rundfunk-Sinfonieorchester Berlin conducted by Vladimir Jurowski. Since her first collaboration with the conductor at Glyndebourne Festival 2008 with Peter Eötvös’s world première of Of Love and Other Demons, they have regularly performed joint concerts together, most recently with the London Philharmonic Orchestra and the Russian State Symphony Orchestra. Dmitri Shostakovich’s Hamlet Suite, Op. 32 a, Brett Dean’s From Melodious Lay – A Hamlet Diffraction as well as Alban Berg’s Lulu Suite are on the programme at the Berlin Philharmonie. On 27. February 2018, Allison Bell will also perform Claude Vivier’s Bouchara at the Konzerthaus Berlin with the Ensemble United Berlin under the baton of Vladimir Jurowski. The epochal work is being interpreted by Salome Kammer (Speaker) and Christina Daletska (Waldtaube) on 24th February 2018 at the Casa da Música in Porto. Stefan Blunier is conducting the Coro and the Orquestra Sinfónica do Porto Casa da Música. Salome Kammer has already performed this part at the Beethovenfest Bonn 2012. The mezzo-soprano Christina Daletska is making her début as Waldtaube and is returning to the venue in April 2018 with two concerts and Cantatas 1 and 2 by Anton Webern. Along with the Orquestra Sinfónica, her musical partners will be the Remix Ensemble as well as Baldur Brönnimann, Ivan Ludlow and Peter Rundel. Holger Falk will be performing at the Oper Frankfurt once again in a new production playing the main part in Manfred Trojahn’s opera Enrico from the 21st January. 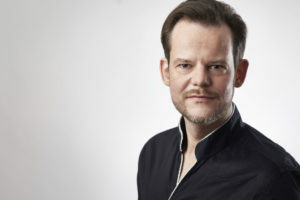 Tobias Heyder is staging the opera (which premièred in 1990) in the Bockenheimer Depot, and Roland Böer will conduct the musicians of the Frankfurter Opern- und Museumsorchester. Other dates include: 23rd, 25th, 27th, 29th, 31st January, 2nd and 4th February 2018. In the role of Enrico, who alternates between reality and the delusion of being King Henry IV, Holger Falk is once again able to demonstrate the power of his expression and his musical enthusiasm for modern repertoire. On 14th December 2017, the curtain goes up at the Schauspielhaus Zürich on the new production of Mir nämeds uf öis (We take it upon ourselves) with Tora Augestad. This is the tenth joint Christoph Marthaler production that the singer is involved with. The subject of the performance is the establishment of a Bad State, in the sense of a Bad Bank, that promises to relieve people of their sins. The next dates are: 17th/22nd/28th December 2017, 12th/15th/19th/31st January 2018 and 2nd February 2018. Tora Augestad will also be performing in South America for the first time at the celebrated staged Marthaler lieder recital King Size from the 4th-7th January 2018 in Santiago de Chile. As part of a children’s concert on the 17th December 2017 in the Kölner Philharmonie, the vocal artist Salome Kammer will be singing a story from Author Andrea Karimé, which has been set to music for a small orchestra for the first time. 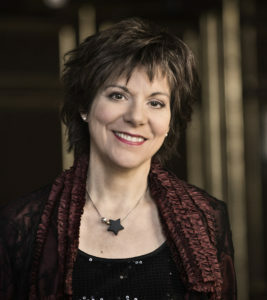 The Gürzenich-Orchester Köln will be conducted by Dalia Stasevska. The experienced melodrama performer, Salome Kammer, will be making her debut with the renown orchestra. 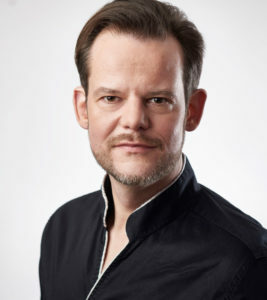 We are very much looking forward to the debut of baritone Holger Falk as Elias in Mendelssohn’s eponymous oratorio performed during the annual winter opera Potsdam. The director Andreas Bode will stage Elias in the Friedenskirche Potsdam and Titus Engel will conduct the Kammerakademie Potsdam. Holger Falk is an ideal interpreter for unusual stage formats and has already successfully worked with Titus Engel at the Staatsoper Hamburg. Performance dates are: 23 / 24 / 25 / 30 November 2017 and 1 / 2 December 2017. Bergen born singer Tora Augestad will make her debut with the Bergen Philharmonic Orchestra and principal conductor Edward Gardner at the Grieghallen on 23 November 2017. She will be singing the world premiere of Henrik Hellstenius’ new work As if the law is everything, a lieder cycle for mezzo-soprano and orchestra, which the composer has specifically written for Tora Augestad. The evening will be brought to end on a small scale by the singer and musicians of the renown orchestra performing lieder by Kurt Weill. On 4 November 2017 Salome Kammer will sing the premiere of Iris ter Schiphorst’s Das Imaginäre nach Lacan at the festival Wien Modern. 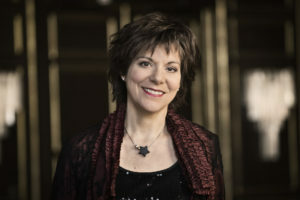 The singer has already premiered several works by Iris ter Schiphorst in the past years. 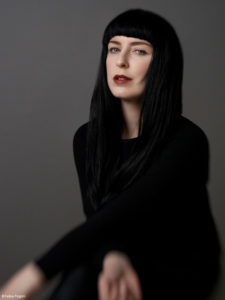 The composer uses the festival’s theme Bilder im Kopf (images in the head) as starting point for an experiment with the perception – with Salome Kammer in a kind of transcultural double role. The Webern Symphony Orchestra will be playing under the baton of Ilan Volkov at the Wiener Konzerthaus. On 19 November 2017 the premiere of the new work Umnachtungen by Annette Mengel follows as part of the Impuls Festival at the Musikbrauerei (Berlin) together with the Zafraan Ensemble. The concert is also a release-concert for the piece Alif written by Samir Odeh-Tamini, which will be published on CD in November. We are delighted that the CD Hanns Eisler Lieder Vol. 1 by baritone Holger Falk and pianist Steffen Schleiermacher received the award. The jury for the Preis der deutschen Schallplattenkritik chose the duo from 91 productions to be among the 12 winners of the Jahrespreis der deutschen Schallplattenkritik 2017, “for the first instalment of their four-part edition of Lieder by Hanns Eisler – perfectly interpreted, highly variable and with a touch of dialectic (MDG/Naxos).” The second part of Lieder Vol. 2 was released at the end of September and has already been praised by the press. The CD, which was released in summer, was first presented in June 2017 at the Semperoper Dresden. The two artists had the idea to this project during breakfast after their first concert together. Sarah Maria Sun and Jan Philip Schulze wanted to develop a programme presenting the most extraordinary contemporary lied masterworks. It aimed to be beautiful and at the same time challenging for the artists. This idea resulted in the vocal-programme modern lied which combines all these aspects and presents an enormous range of composers, such as Heinz Holliger, Salvatore Sciarrino, Helmut Lachenmann, György Kurtág, Wolfgang Rihm, Bernhard Lang, and Georges Asperghis and many others. The CD is available in well-stocked stores or online at jpc.de. Daniel Gloger as Parsifal gives his all, vocally rushes through the layers from growling deepness to painful heights, with a force and dynamic notself-evident for countertenors. Later, with Kundry’s kiss, when he realizes the wound of Amfortas, his singing is intensified to a wild, touching cry. Music, that feels. He, Meese’s „Parzefool“, conquers the stage in the interpretation of the vocally and dramatically exceptionally agile countertenor Daniel Gloger (…). It serves as background, in front of which Kundry and Parsifal, Hofmann and Gloger, in their desperate search provide a tremendously impressive singing moment. The director of this spectacular production is Jonathan Meese and Simone Young conducts the Klangforum Wien and the Arnold Schoenberg Choir. On August 25 the soprano Sarah Maria Sun and the mezzo-soprano Christina Daletska will interpret the world premiere of Philippe Manoury’s light opera Kein Licht at the Ruhrtriennale. Both singers are extremely experienced when it comes to contemporary repertoire. Christina Daletska has already successfully debuted Philippe Manoury’s cycle Gesänge-Gedanken in 2009 in Oslo and has performed it once more 2013 with the Ensemble Intercontemporain and Pierre Boulez in Paris. 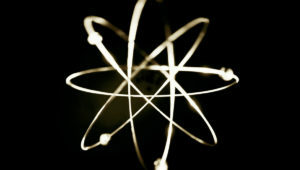 The production Kein Licht will subsequently be performed in first performances at the co-producers Festival Musica Strasbourg, Opéra Comique Paris, Croatian National Theatre Zagreb as well as at the Théatre de la ville de Luxembourg. The focus of this new composition/opera lies on the tragedy of Fukushima, the associated individual and collective failure of society and its responsibility for human beings and the environment. The work was developed in cooperation with the Parisian IRCAM. We are very much looking forward to the debut of tenor Zoltán Nyári as Siegmund in Wagner’s Die Walküre at the Oldenburgisches Staatstheater in a production by Paul Esterhazy. The premiere takes place on 9 September 2017 with further performances on 16 September, 1 / 8 / 22 / 28 October and 19 November 2017. 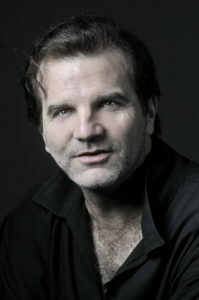 Zoltán Nyári has already mastered Wagner roles, recently debuting as Tristan at the Graz Opera and as Froh in Das Rheingold as well as Erik in Der Fliegende Holländer at the Palace of Arts Budapest. Over the course of this season the tenor will also debut as Siegmund at the Theater Chemnitz. The recently released CD Hanns Eisler Lieder Vol. 1 has been nominated for the Award of the Deutsche Schallplattenkritik on its Longlist. In a four-part CD edition, Holger Falk and Steffen Schleiermacher present the lied œuvre by Hanns Eisler. The second CD of the series will be released in autumn 2017. The duo, which has been honoured with the ECHO-Klassik 2016 for its Erik Satie recording, shows a new perspective on Schoenberg’s pupil, who had long been reduced on his communistic work and pushed in a far left corner. Both artists are convincing in their great diversity of expression, Falk’s precise understanding of lyric, and an impressive interpretation of the extremely versatile lieder by Eisler. The first CD presents lieder from a period between 1929 and 1937, which lyrics were mainly written by Bertolt Brecht and are first and foremost workers’ and battle songs. The following three recordings dedicate themselves to a particular period of time in Hanns Eisler’s creative work progress and range from workers and battle songs, chansons and art songs to 12-tone children’s songs. The press speaks: Never before have Eisler lieder been heard as here, so subtly and prudently interpreted, so individually translated. Holger Falk and Steffen Schleiermacher represent a new generation of Eisler performers. hr2 23 May 2017.